Your eyes are important to us. At Mandeville Opticians you can be rest assured that you and your family will receive the highest quality in eyecare, professional service and optical products. Being an independent opticians, we are able to cater for your individual needs. Whether it is the latest pair of designer glasses you are after, or concerned about your child’s eye health, we are here to help. Mandeville Opticians provides an excellent service. Harpreet, the optometrist is thorough in her consultation always taking time to treat the patients for their individual eye care needs. She is flexible and able to take emergency appointments when necessary. I see a huge difference in the service offered to the normal high street optical chains! 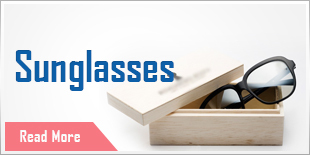 The Practice has a warm and friendly environment with staff on hand to choose the right spectacles (which can be quite challenging) and regular offers on high quality, designer spectacles. I thoroughly recommend Mandeville, for a personable service! I have used Mandeville Opticians for 4 years. Both my son and I have our annual eye checks there. We always find the service is very precise, efficient and friendly. I am extremely pleased with my rimless glasses from them. Not only do they look nice, feels like a feather, the “Made in Germany” titanium frame has proved to be very durable! I would recommend Mandeville Opticians for their professional service and honest price. If you'd like to ask our Optometrist a question complete your details here and we'll get right back to you.